A Walk to Remember is another sweet and beautiful romance by Nicholas Sparks. I think you will agree with me when I say no one knows true love and romance better than Nicholas Sparks. He just manages to knock these authentic and lovely stories out no problem and they all strike the heart chords in a big way. And they all translate well to the big screen. It’s a romantic match made in heaven. A Walk to Remember, a movie based on the Nicholas Sparks novel of the same name is one of my favorite movies of all time. It is touching and moving and bittersweet and will definitely make you long to fall in love and be loved like this. One of the most beautiful moments in the movie is when Landon (Yes, that is Mr. Nikita!) talks about Jamie’s walk down the aisle. Such a beautiful and sweet movie. See the trailer after the music video! Perfect for a girl’s night in. Or a book and a movie reading club! Bring the tissue! So here is a song from the movie, one of my all time faves called “Dare You To Move” by Switchfoot. I hope you enjoy it as much as I do. 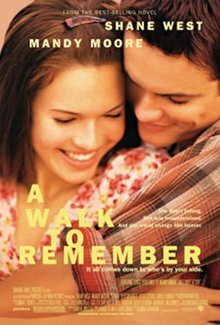 A Walk to Remember, awesome, Awesome Movies Playlist, drama, DVD, favorites, Mandy Moore, Movie Music, movies, Music Monday, Nicholas Sparks, romance, Shane West, true love. Bookmark. This is nice. Great soundtrack from a great movie. I enjoyed watching the movie. It's just awesome. Nicholas Sparks is an amazing author. 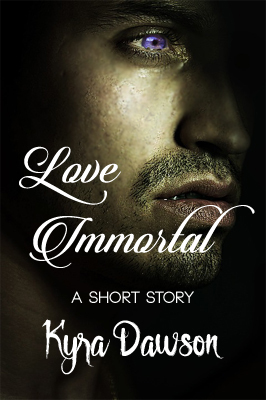 I love the way he writes and creates such amazing love stories that simply get to the heart time and again. I'm an author too and one thing I know is that it takes so much discipline to finish a book, let alone 18 of them like he's done. And to consistently write hit after hit is a real testament of how good he is. You can have a one hit wonder, just like songs but Nicholas Sparks really knows how to pull our heart strings. Good point. Nicholas Sparks is prolific. The Notebook broke my heart and I loved it! What's your favorite Nicholas Sparks book?